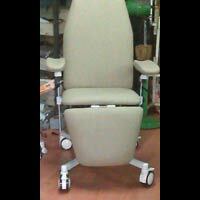 Backrest Fixed degree of : At 80 0. 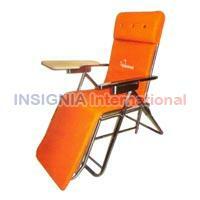 Seat height : 510mm to 630mm. 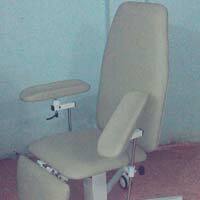 As per the requirements of clients, we are offering an excellent range of Folding Wheelchairs which has smooth wheels at the bottom that helps in moving these chairs, these wheel chairs offered by us are manufactured with optimum grade material as per with universally verified standards. 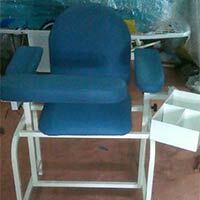 Along with that, our offered wheel chairs are highly valued by our patrons for their fine finish. 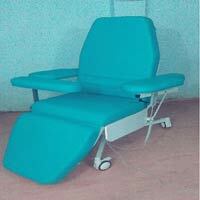 COMFORTABLE FOR LONG TIME PROCEDURES : CONCAVE SHAPED PU BASED HANDREST FOR BETTER COMFORT AND SAFETY. EASY TO OPERATE AND MAINTAIN. : STURDY CONSTRUCTION.. FABRICATED WITH HIGH CLASS M.S.OR S.S. : LOCKABLE CASTORS FOR EASY HANDLING. 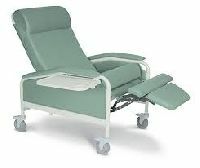 MILD STEEL ROBUST CONSTRUCTION : EPOXY POWDER COATED FOR LONG-LIFE. 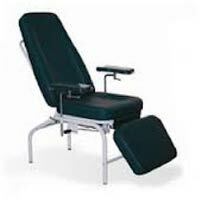 We are offering bariatric chair is facilitated with bariatric arm for patient safety and phlebotomist comfort. 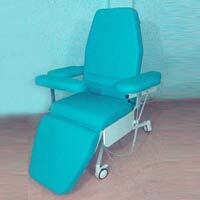 Concave shaped swivable arm rest is provided for easy positioning . 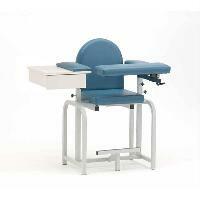 Hand Rest : 5" x 15"
Dimension : H 22" x L 72" x W 24"
LOCKABLE CASTORS FOR SAFETY AND COMFORT. : CONCAVE SHAPED PU BASED HAND REST FOR ANTI-SLIP. SWIVABLE ARM REST POSITIONING AS PER COMFORT. 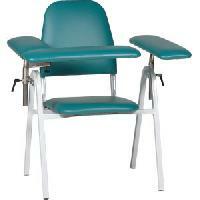 : HEIGHT ADJUSTABLE ARM REST BY MANUAL LOCKING KNOB. 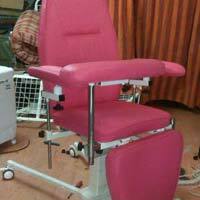 ELECTRICALLY CONTROLLED CHAIR WITH WIRED REMOTE. 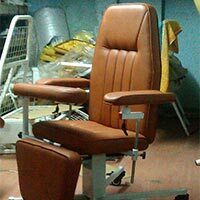 : 2 ELECTRICAL ACTUATORS BASED DESIGN FOR BETTER FUNCTIONALITY. 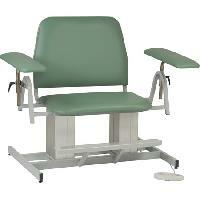 We are offering blood phlebotomy chairs, gas spring assisted combined movement of backrest+legrest.